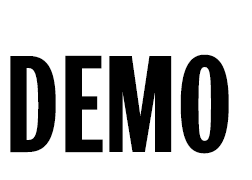 DEMO is the magazine of, from and about Columbia College Chicago. It’s for alumni and friends of the college who are interested in reading about the men and women of the Columbia community—primarily alumni—who are applying their creativity to innovation in the visual, performing, media and communications arts. DEMO is published in print and online twice a year. Print circulation is 53,000. DEMO’s primary audience is alumni. Readers also include prospective students and their parents, donors, faculty, staff and friends of the college. Every issue of DEMO contains a wealth of information about Columbia College Chicago alumni. Regular sections include profiles of interesting alumni and how they “live what they love,” showcases of alumni work, and longer features on alumni trends and topics. Have personality, are rigorous, professional, exact and represent our magazine well. Have proven journalistic writing experience. Have experience interviewing sources in person or by phone. Are skilled at conducting research and fact checking. Pay attention to spelling, punctuation and style guidelines. Capture the special details that make a story memorable. Although we generally seek Columbia alumni writers, we sometimes enlist non-alumni writers. If you are not a Columbia alumnus or alumna but meet the other criteria listed above, please submit an inquiry. We generally assign articles, but we welcome pitches of story ideas that emphasize how Columbia alumni are living what they love. A cover letter describing your connection to Columbia and your journalistic writing experience. Direct links to your most pertinent three to five published writing clips. If you don’t have links, please attach PDFs of the published pieces. Please email Kristi Turnbaugh, editor-in-chief, at demo@colum.edu. No phone queries, please. Please allow two weeks for a response. A cover letter describing your connection to Columbia and your journalistic writing experience, an explanation of why you think your story would interest DEMO, readers, with the reasons why you have the background or experience to successfully carry out the assignment. A concise outline of the topic you wish to write about. An explanation of the subject, sources, projected length of the article, types of interviews, and angle. No simultaneous submissions, please; authors of unsolicited articles will be asked to sign a statement specifying that the article isn’t under consideration by any other publication. Also include your resume and links that go directly to your most pertinent three to five published writing clips. If you don’t have links, please attach PDFs of the published pieces. Please email Kristi Turnbaugh, editor-in-chief, at demo@colum.edu. No phone queries, please. Allow two weeks for a response. If an alumnus captures your attention and makes you want to know more, chances are this is a good candidate for coverage in DEMO. A good test is to run it by other Columbia alumni first (and make sure we haven’t already covered them). We strive for geographic diversity and are always interested in covering alumni located outside of Chicago and the Midwest. DEMO typically works at least six months in advance. Keep this in mind if proposing time-sensitive ideas. Have you experienced a life-changing event, something that shifted your outlook or direction in life? DEMO is interested in compelling stories about alumni’s personal growth, so we will consider first-person accounts. These can be humorous, personal, opinionated—or all three. Please email your story, at no more than 1,000 words, to Kristi Turnbaugh, editor-in-chief, at demo@colum.edu. No phone queries, please. Please allow up to two weeks for a response. No simultaneous submissions, please; authors of unsolicited articles will be asked to sign a statement specifying that the article isn’t under consideration by any other publication. We will attempt to respond to submitted manuscripts as soon as possible, and usually no longer than two to three weeks after receipt. Unsolicited material will be given serious consideration, but it is best to query first in case the subject or topic has already been assigned. No reworked term papers, please! Email us at demo@colum.edu. First-time writers: Articles submitted by first-time writers are treated completely on speculation; after an article has been reviewed and accepted, the editor will negotiate a fee with the writer for the material to be used. Payment is made for published articles at the time of publication. If you receive an assignment, the editor will work with you to contact the subjects and will go over standard expectations for DEMO writers.